Time flies, it is 2019, and the US is gearing up for another presidential election. Hard to believe, but the election cycle is about to start all over again. The big question is which Democrat will oppose Donald Trump in 2020 (If he chooses to run). Early reports suggest a wide Democratic field including senators like Bernie Sanders , Elizabeth Warren, Kamela Harris, and Corey Booker. Former Vice President Joe Biden may also put his hat in the ring. There are also “outsiders” like former Starbucks CEO Howard Schultz and TV personality Oprah Winfrey who might run. One name that has risen to the top of that list, seemingly from nowhere is former 3-term congressman Beto O’Rourke from Texas. O’Rourke just lost an election, but instead of being branded a “loser” he has been propelled to national attention. In 2018 he gained 48% of the vote vs. 51% of the vote by his opponent Senator Ted Cruz. The close race itself is interesting, but what is compelling is the fact that Beto O’Rourke did this in a so-called “red” state where Democrats haven’t won for decades. The 2018 Texas campaign featured Beto’s amazing ability to collect campaign funds and his truly skillful use of social media. Former congressman O’Rourke was born in El Paso Texas in 1972. After a standard public school education he earned a BA in English from Columbia University. After several private-sector jobs including a stint in the music business and in local publishing he started his public service career as a member of the El Paso City Council where he dealt with local development issues. From 2013-2019 he was a member of the US House of Representatives, resigning in 2018 to run for the senate. When asked about running for president he said he would not. But a politician’s “no” today can become a “maybe ” tomorrow and “yes” the day after tomorrow. O’Rourke has been described as a “white Obama.” Some on the left of the Democratic Party see this as a negative. They distain his Clinton-Obama centrism. His voting record in congress shows a pragmatist at work, and not a doctrinaire liberal or progressive. 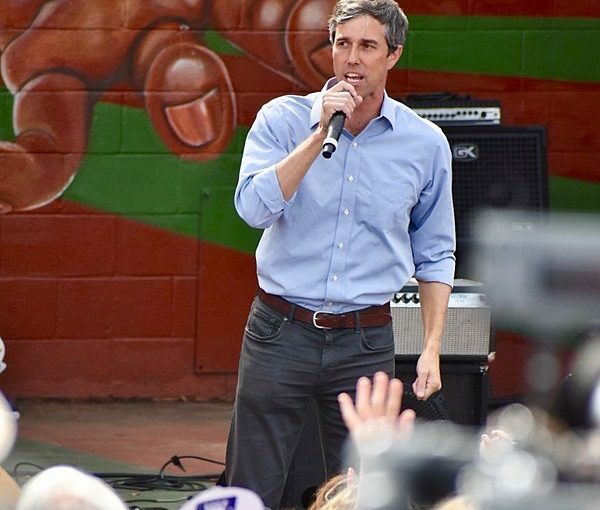 Beto O’Rourke is young, charismatic, telegenic, and available. It is very possible that on the day after tomorrow he will decide to give it a try in 2020. Who know? Best to keep an eye on him. Person of Interest : AMLO, President-Elect of Mexico. Looking for a Job? How about POTUS in 2020? 前 前の投稿: The Speech Wars – January 2019. 次ページへ 次の投稿: After 47 Years, Is the US “Revoking” the Shanghai Communique?